Abbots House in Reading is a reinforced concrete office building with a large glazed atrium and basement parking spaces. As part of the recent refurbishment works, substantial floors areas were gained by extending into the atrium space. 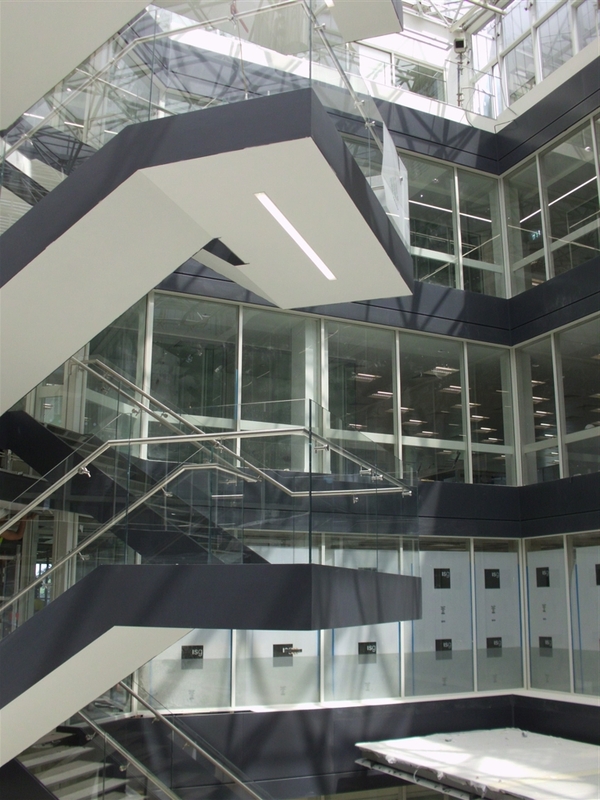 Cantilever feature staircases on all levels created a focal point within the reduced atrium space. Careful consideration had to be given to the increase in loading at each point as it was not practical to improve the existing foundations. The works were undertaken from beginning to end with a sitting tenant and the structural works had to be phased to suit the changing vacancy of the floors.